Cardinal Joseph Zen, the most senior Chinese cleric in the Catholic Church. (TibetanReview.net, Nov15, 2016) – As Pope Francis reportedly prepared to sign a deal with Beijing by which the Vatican would commit to recognize as bishops only those clerics who first win nomination from the Chinese government-run Patriotic Association’s bishops conference, Cardinal Joseph Zen, the most senior Chinese cleric in the Catholic Church, has warned that this was a road to a tragic mistake. The Cardinal Zen prays to be heard before the Pope signs the deal, reported wsj.com Nov 3. The Cardinal has said the deal would make the church “totally subservient to an atheist government” and may require the Vatican to cut ties to the true church underground. The atheist communist Chinese government has claimed the sole right to appoint bishops in China since the 1950s, when Mao Zedong banished Vatican officials and established the state-run Chinese Catholic Patriotic Association in their place. That state organ now oversees the “official church” of some 70 bishops and five million adherents who answer to Beijing and toe its line. The underground church, by contrast, follows the pope, for which its 30 bishops and estimated seven million adherents face harassment, imprisonment and worse, the report said. Nevertheless, after endorsing recently most of the Beijing-backed bishops in the hope of promote unity, the Vatican now seemed to be willing to give the authority to appoint bishops to Beijing, which Cardinal Zen calls “absolutely unacceptable”. The Cardinal has nothing against the Chinese appointed bishops as such. He says they are generally “wonderful men” and “very faithful to the church”. However, he laments that they are all “slaves” and “puppets”. 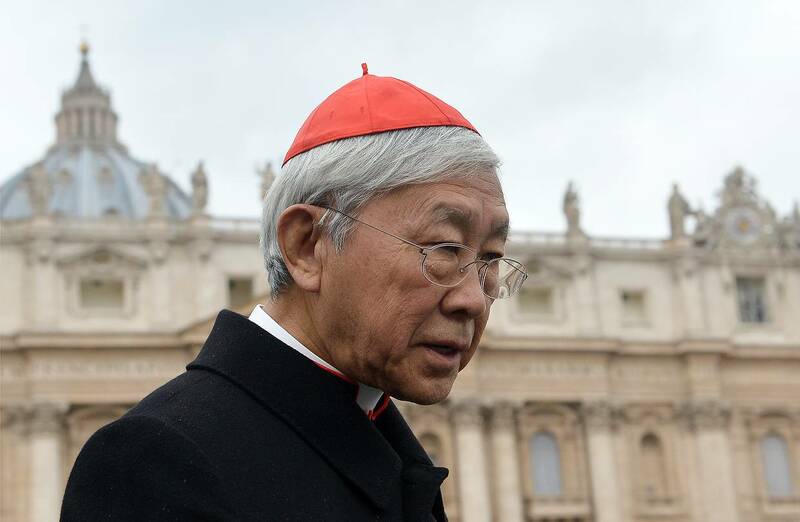 Cardinal Zen has slammed Vatican diplomats who say that embracing the Patriotic Association is needed to preserve the church’s hierarchy and sacraments. In his view having no bishops was preferable in that case, for “with fake bishops you are destroying the church”. He says only someone ignorant of communism could think the nominations the Chinese government sends to Rome wouldn’t be coerced. Recalling his years of teaching in Chinese seminaries from 1989 to 1996, he has said that state bishops couldn’t meet or even place international calls without the presence of government bosses.